Every society has its own way of explaining their natural surroundings. In the Western world, we rely on science to understand how nature works. Indigenous communities of the Amazon also study their surroundings through a process that resembles the scientific method, and have passed down their teachings through stories that have been told since time immemorial. These oral traditions are filled with valuable environmental and spiritual teachings, and with elements of cultural identity. Through these stories, we can see how indigenous communities and Western society have often arrived at similar conclusions regarding nature’s cycles. Many indigenous people revered the sun as a god, believing that it gave life. Western science also teaches us that the energy coming from the sun provides food for all creatures. Communities in the Amazon have been aware of patterns that signal a time for planting or harvesting, or that lend themselves to celebrations. Some communities know that the rainy season is about to begin when they see four bright stars in the Pleiades star cluster; others can distinguish the song of a type of cicada who is announcing the start of the dry season. Many have learned to listen to plants and understand their medicinal properties, and to attend to other signals of the natural world which we have largely forgotten in Western society. However, climate change has altered the way indigenous people throughout the world relate to their surroundings. In the Amazon, severe droughts have been recorded by scientists, and communities are finding it difficult to predict when the rainy season will begin. Since these communities are intricately connected to their land, it is important for them to understand how to address such challenges and how to preserve their cultures on a changing planet. 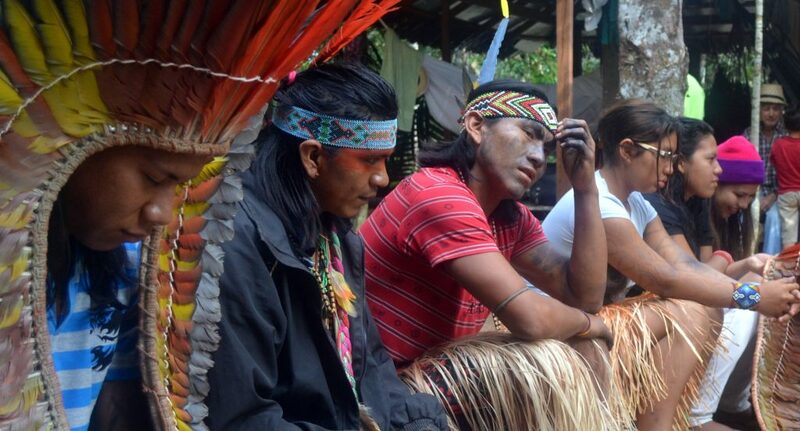 Seeing a need to teach traditional environmental knowledge and Western science in indigenous schools, Forest Trends developed the Cultural Mediators program with various partners in Brazil. The program teaches young indigenous students between the ages of 10 and 16 about climate change, territorial governance, natural resource management, and cultural traditions. 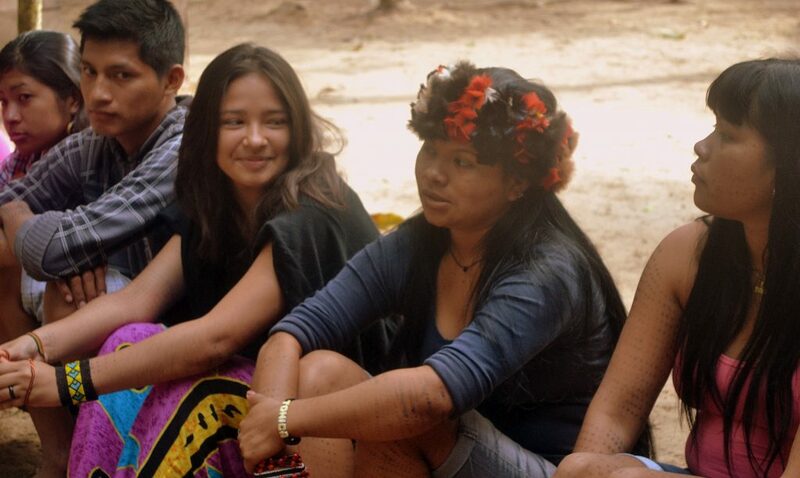 The curriculum was developed with extensive participation by grassroots organizations, teachers from communities, faculty at the University of Rondônia, and leaders and other representatives of eight communities in the Amazon state of Rondônia, Brazil: Kwaza, Zoró, Surui, Cinta Larga, Gavião, Tupari, and Mequéns. The program has made it clear that today’s elders know precisely what has been causing changes in their territories. They describe the problem as a smoke that stays in the air which makes everything warmer (sounds familiar? ), and they directly attribute its origin to the way that non-indigenous people lead their lives. This insight, of course, aligns exactly with modern climate science. The goal of the program is to help the younger generations navigate the present by showing them that their elders and scientists agree on the basic tenets of climate change. Through this approach, the younger generation can understand the global importance of preserving their rainforest and are given a rights-based education that will be necessary to defend their lands. At the Rondônia State Conference on Indigenous School Education (CNEEI), the indigenous teachers who participated in the Cultural Mediators training presented a proposal to integrate climate change, forestry, and territorial management into the basic curriculum of schools. The proposal was approved by the state and subsequently by the Ministry of Education, and the Cultural Mediators program will soon become an educational strategy for all indigenous schools. The material produced is interdisciplinary, and the training provides teachers an intercultural approach that gives young students access to scientific knowledge, while offering a channel to reaffirm ethnic identities, build awareness of fundamental rights and help young indigenous people to bridge the cultural divide for the realization of a more equitable and sustainable world.